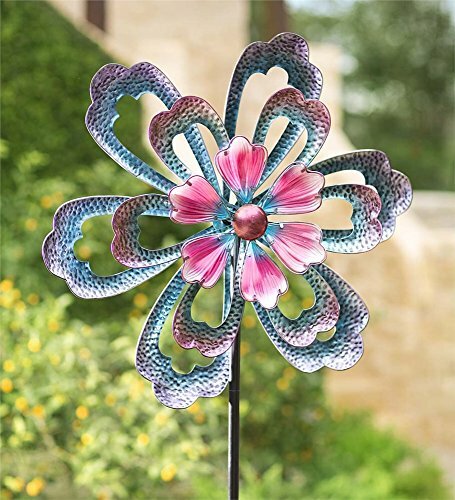 Adding kinetic wind spinners to your garden can make it truly interesting. 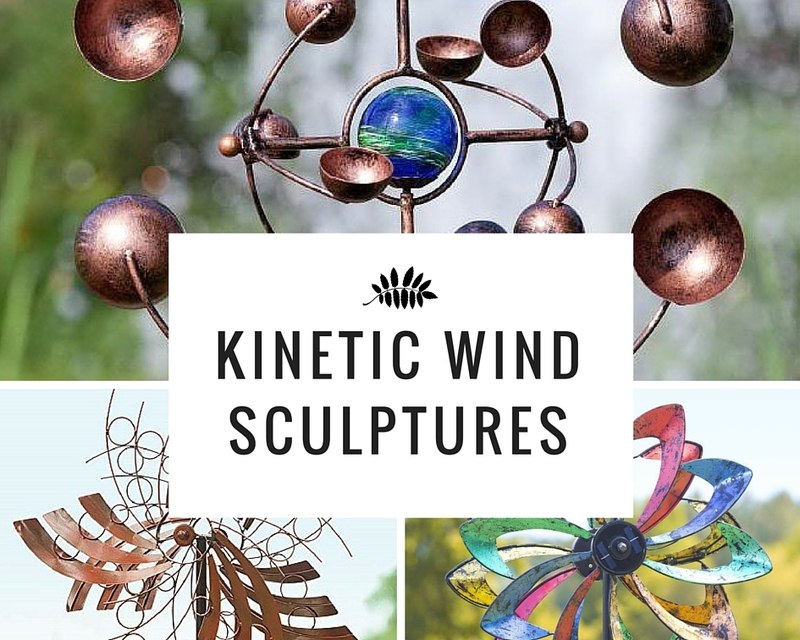 With movement, color and artistry, wind sculptures catch the wind and turn it into art. 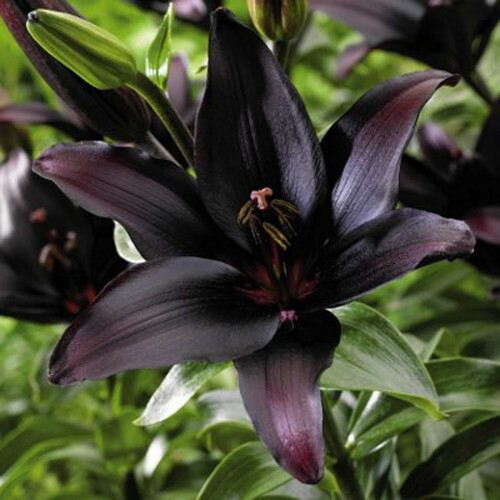 They are the perfect complement to beautiful flowers and plants, and can also be combined with lighting to make your garden shine during evenings or late at night. 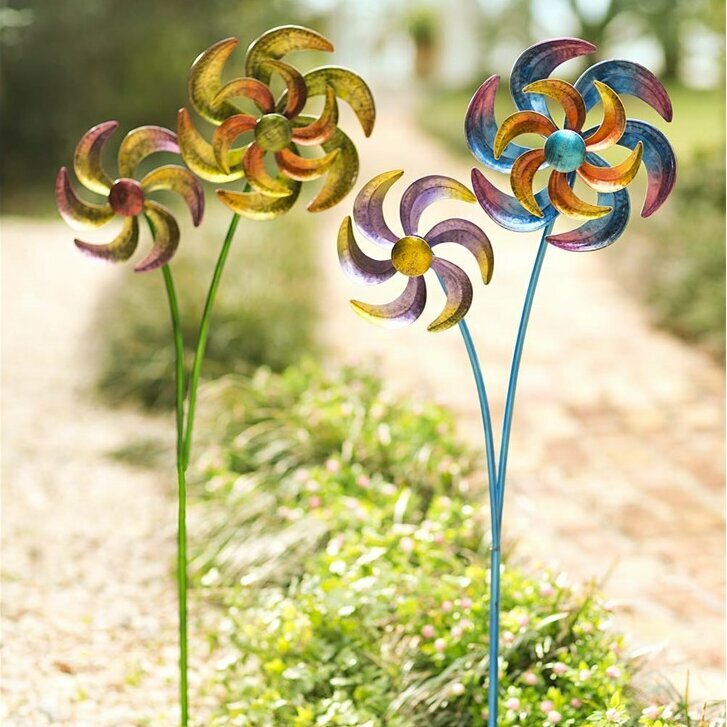 It can be mesmerizing to watch the wind pick up and move these wind spinners, almost a Zen moment as you sit outside and enjoy nature while soaking up some sunshine. 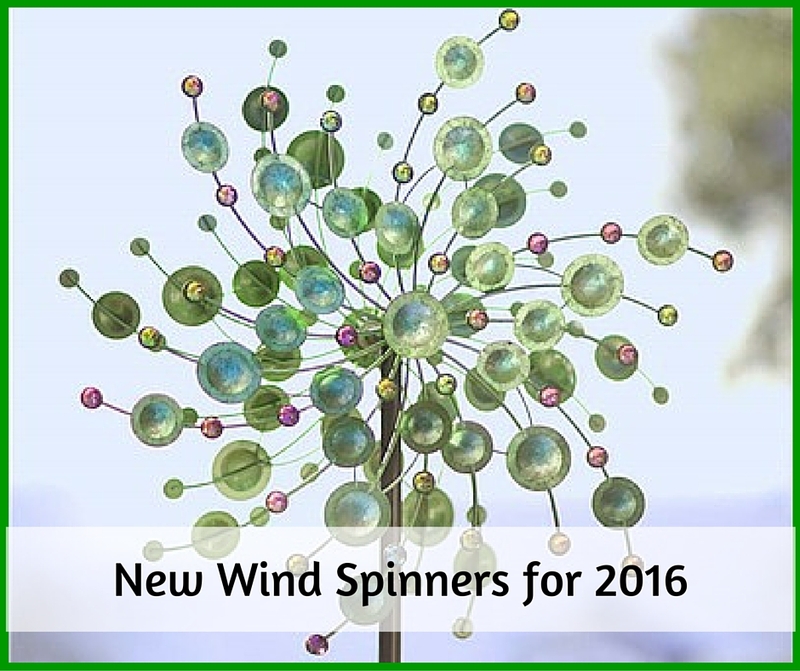 These wind spinners are new for 2016 to add to your garden decor. 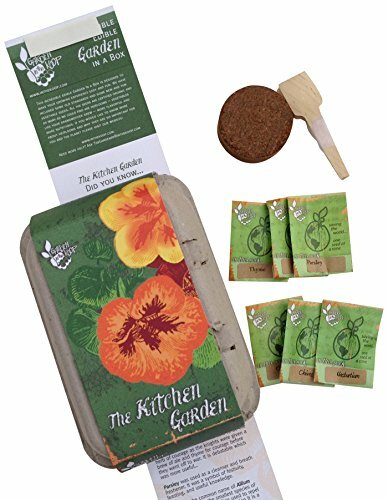 For dimensions, pricing and shipping information, click through to the product page. 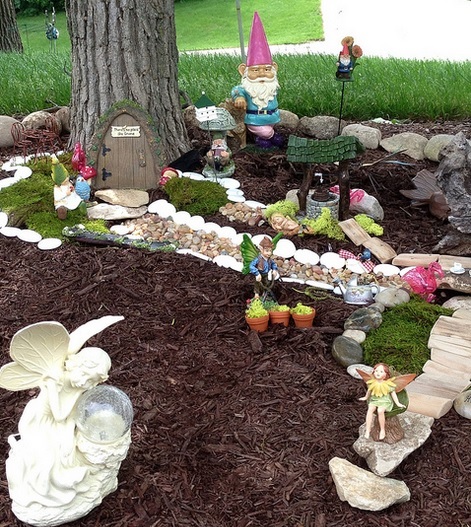 This spinner is very cool and it will add color to your garden 24 hours a day. 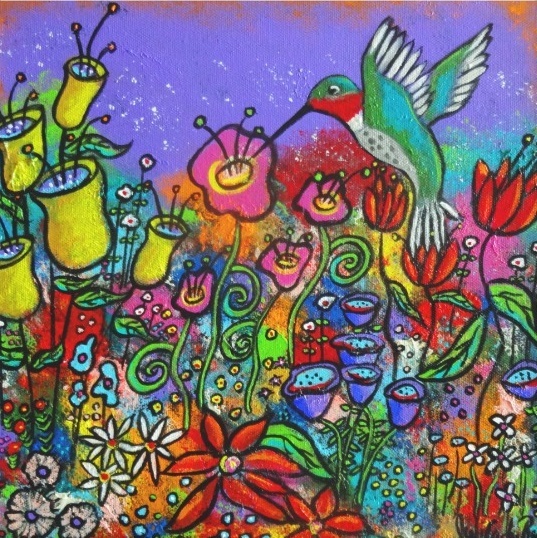 During the day, the colorful butterflies dance in the wind, while at nighttime the solar light in the globe will light your pathways for a stroll through your garden. 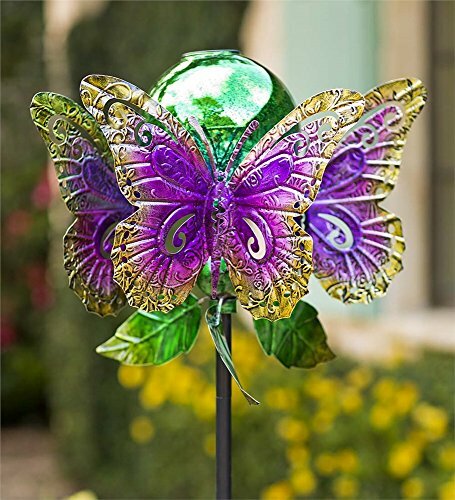 This unique 8-foot tall wind sculpture is made of metal and glass with a fantasy style for your garden. 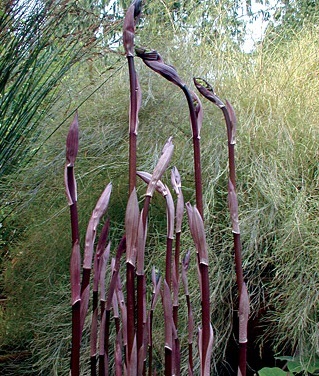 Great for a larger garden or as a backdrop for a smaller garden, petals fly in the wind throughout the day. 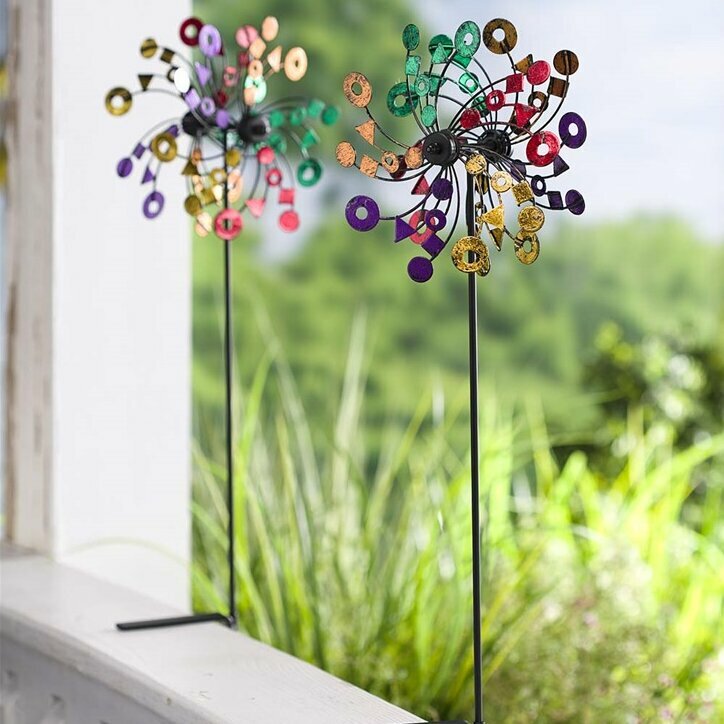 Featuring all the colors of the rainbow, this wind spinner has dual-action because the large circle spins, and each individual spinner spins as well. 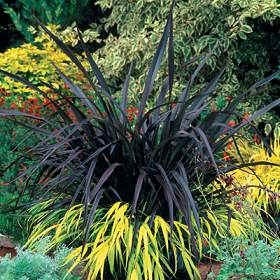 Great for a garden party or just to watch anywhere the wind blows. 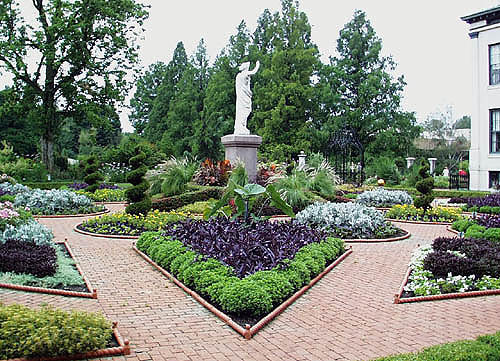 Deck-mounted wind spinners can go on any deck that has a railing such as shown below. 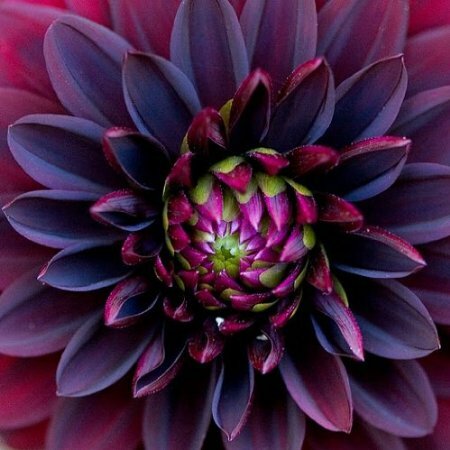 Great for party decorations, these colorful shapes will dance in the wind and offer a conversation starter for all of your guests. 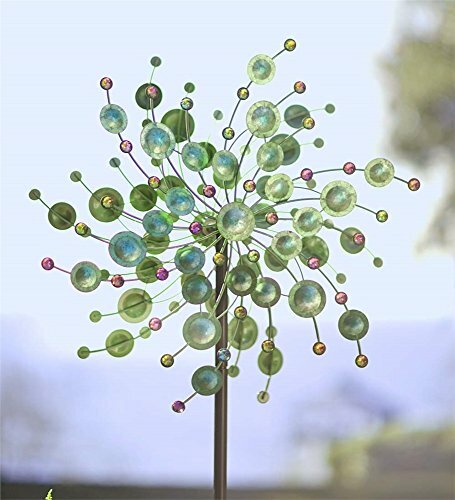 This Fiesta Wind Spinner is a piece of artwork for your garden with its green-hued disks of varying shapes. 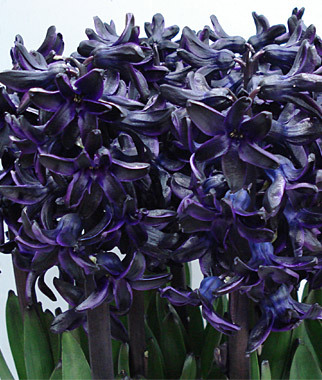 It is exclusive to Wind & Weather, and is one of their more popular designs this year. 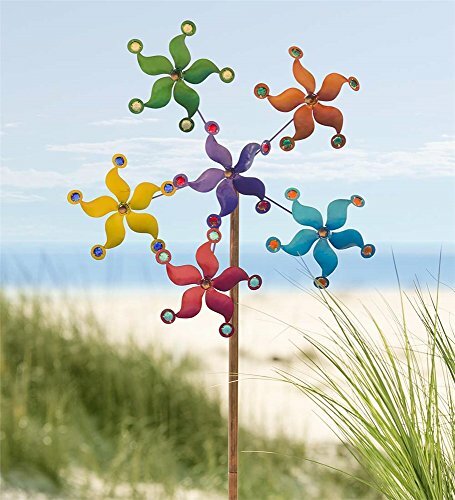 Pinwheels are one of the most fond memories of childhood and this wind spinner represents that memory beautifully. 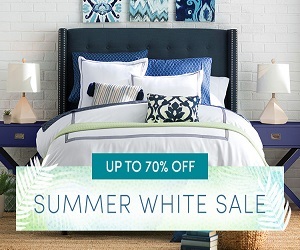 This spinner comes in two color choices, green (on the left) and blue (on the right).